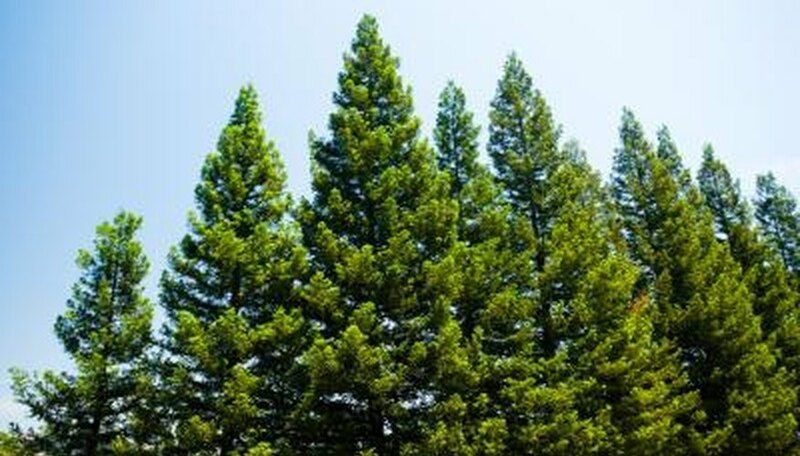 How Do Pine Trees Reproduce? Trees, like all living organisms, employ a variety of strategies for reproducing. Pine trees have evolved special structures, the pine cone, as a central means of reproduction. The pine cone is key to successful fertilization of seeds and assists plays an important role in dispersing seeds over a wide area. A single pine tree ordinarily contains both male and female pine cones. 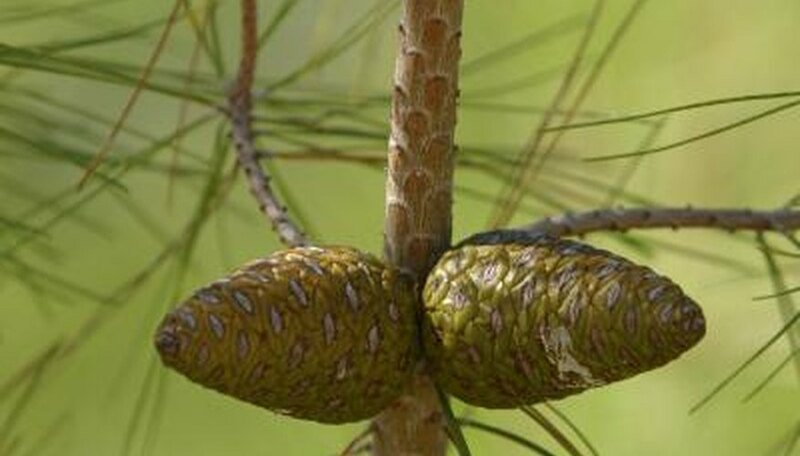 Unlike deciduous trees that surround their seeds with fruit, pine trees produce seed-bearing cones in order to reproduce. Pine trees reproduce by producing seeds. 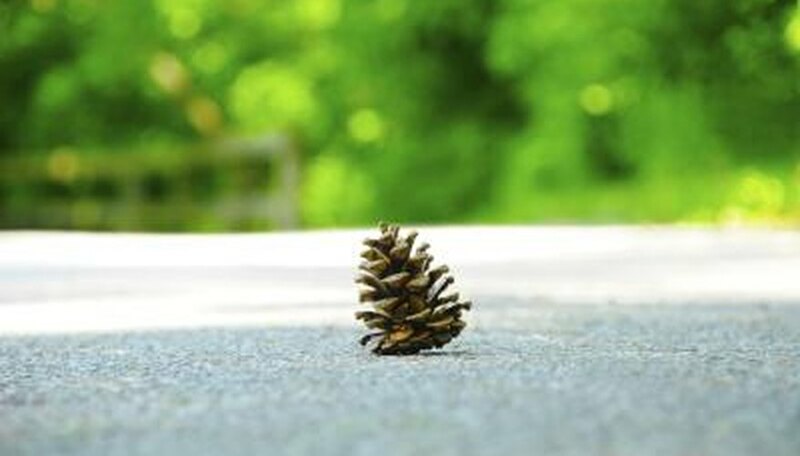 Unlike deciduous trees, which produce seeds that are surrounded by fruit, pine seeds are located on scales of structures called cones (pine cones). Pine trees possess both male and female reproductive structures, or cones. Both male and female cones are on the same tree. Typically, the male cones that produce pollen are located on the lower branches of the tree. This is to prevent the pollen from falling on the female cones of the same tree and, thus, promotes fertilization with other pine trees, which enhances genetic variation among trees. The male cones, also known as catkins, are present only during the spring of the year when they are producing pollen. They do not look like the pine cones many are familiar with, but are long thin structures that are soft and located in clusters on the branches. Pollen is produced by the male cone. A grain of pine pollen contains the genetic information from the pine tree on which it hangs. Each grain of pollen is equipped with two small wing-like structures that help the pollen become aloft in the air and promote a wide distribution. The grain of pollen then finds its way to a receptive female cone, which appears to be solid and hard. Once the pollen lands on the cone, it grows a long thin tube into the center of the cone where the egg is located. There, the genetic information in the pollen grain is combined with the genetic information in the egg, and a fertilized embryo results. As time passes (usually about two years), the embryo grows into a seed and the cone becomes brown and develops scales. It is at this time the pine cone resembles the familiar cones seen littering the forest floor. If one of the pine cone's scales is pulled off, a mature seed can be seen at the base. If planted, this seed will grow into a pine tree. Because plants are immobile, it is important that they have ways to disperse their pollen and seeds away from the parent plant to minimize inbreeding. The winged pollen that pine trees have helps this dispersal. 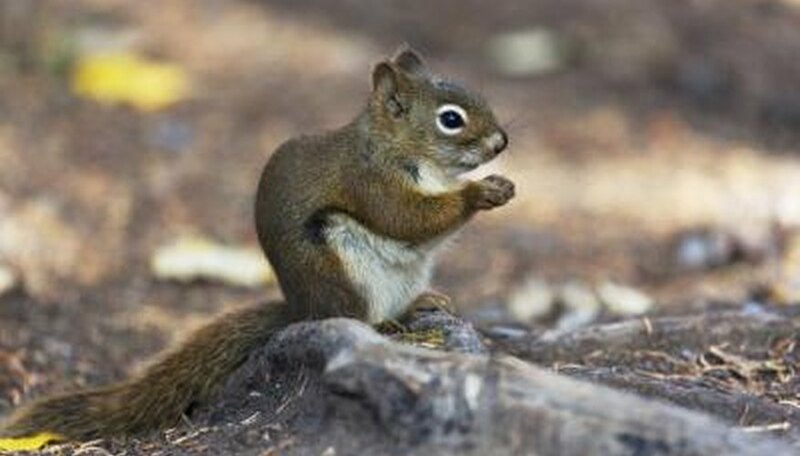 Various animals such as squirrels and jays commonly eat pine seeds and disperse them. Pine nuts (seeds) also are becoming a large part of human cuisine (although humans do not disperse these seeds, obviously). Because animals do not eat all species of pine cones, some species have developed unique ways to prevent inbreeding. Some pine cones remain tightly closed until they reach an extremely high temperature, as would be present in a forest fire. Only when these cones are heated do they release their seeds, which corresponds to the likely death of the parent plant in the fire. What Are Five Examples of the Coniferophyta? Lehman, Christine. "How Do Pine Trees Reproduce?" Sciencing, https://sciencing.com/do-pine-trees-reproduce-5173107.html. 25 April 2018.